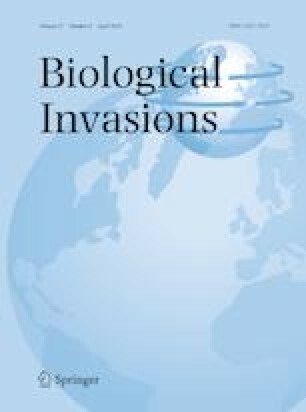 The loss of biodiversity by the replacement of invasive species could lead to the loss of functional traits that maintain certain ecosystem services (ES). The ES method provides a conceptual framework to value changes of functional traits related to this loss of biodiversity. The Caribbean Sea offers a multifaceted seascape to evaluate this approach as native seagrass species (Thalassia testudinum, Syringodium filiforme or Halodule wrightii) cohabit this region together with the invasive seagrass Halophila stipulacea, native to the Indian Ocean. The functional traits of native seagrass species in the Caribbean are compared to different traits of H. stipulacea observed worldwide with the aim of evaluating the dimensions of this change in terms of the ES that seagrass meadows provide in the Caribbean. Under a changing seascape due to climate change and anthropogenic pressures that have driven the disappearance of most seagrass meadows in the Caribbean, we explore how this invasive seagrass could play a role in restoration attempts as a pioneer species where native species have been lost. The potential unintended consequences of the presence of H. stipulacea to replace services of native species are also noted. The online version of this article ( https://doi.org/10.1007/s10530-019-01924-y) contains supplementary material, which is available to authorized users. The present paper is part of the project CIRCULATIONS (Connectivities between islands alters traveling invasive seagrasses), funded by the Leibniz- Centre for Tropical Marine Research (ZMT), Germany. Inés G. Viana was supported with a postdoctoral fellowship from Xunta de Galicia (Consellería de Cultura, Educación e Ordenación Universitaria). D. Willette thanks M. Joaquin for logistics support.